Randall-Page installation - on form | sculpture: the showcase for contemporary sculpture in stone at Asthall Manor, Oxfordshire. 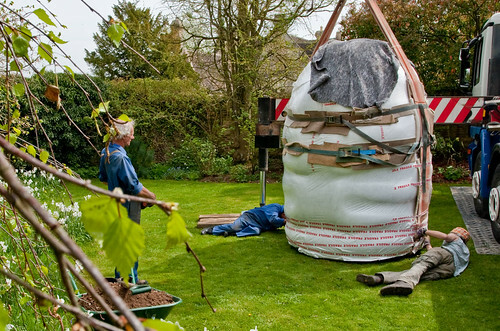 On 29th April, Peter Randall-Page’s Corpus arrived from the Yorkshire Sculpture Park. This sculpture, carved in 2009 in Kilkenny limestone, weighs 14 tonnes. It was made for Randall-Page’s YSP show, and this is the first time it has been seen in the south of England.